Wagyu simply means "Japanese style beef " in the Japanese language, but it also points to the main four breeds of Japanese cattle, that are prized for their exceptionally well-marbled meat. Miyazaki Prefecture is the 2nd largest producer of Kuroge Wagyu (Japanese Black Cattle), and only the highest quality cattle from this region can be dubbed "Miyazakigyu". 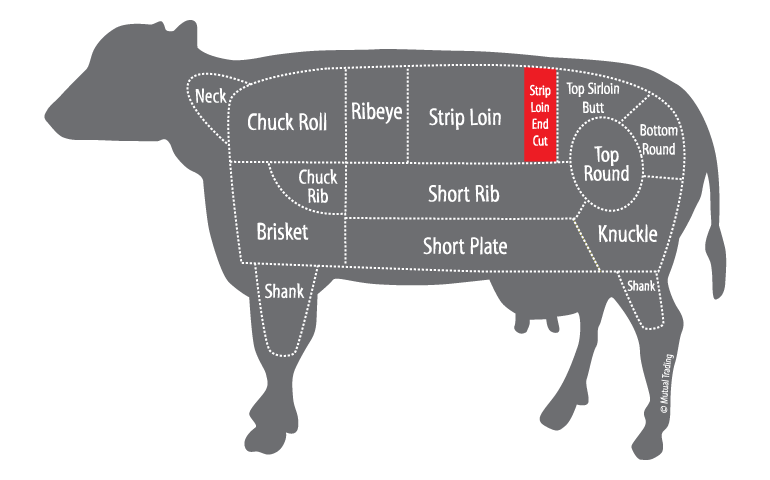 As the name states, Strip Loin End Cut comes from the hip end of short loin. 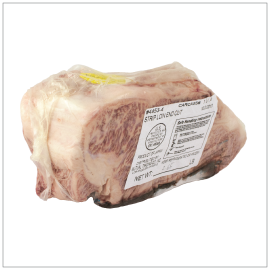 Due to where this cut is located, Strip Loin End Cut tends to have more connective tissues but have equally marvelous marbling and high yield as to other section of strip loin. Each Strip Loin End Cuts are about 2-4lb and best grilled or sliced thinly for sukiyaki.